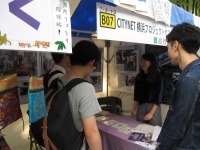 CITYNET Youth Japan is an organization mainly consisting of university students in the Yokohama/Tokyo area who have a high interest urban challenges, international issues and NGO activities in the Asia Pacific Region. Besides regular meetings, they also participate in Disaster Preparedness education trainings and propose/implement workshops in Japan and other countries. 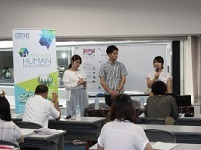 In addition, they support events and international conferences hosted by CITYNET Yokohama Project Office.